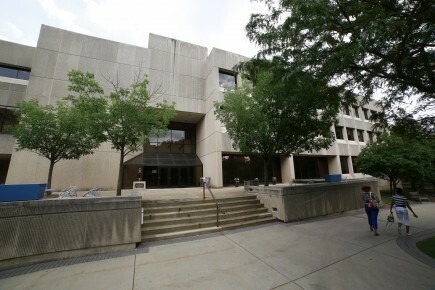 Butler University’s College of Business (COB) received grades of A+ in Teaching and A+ in Placement in the Bloomberg Businessweek’s 2014 Ranking of Best Undergraduate Schools. Butler was ranked No. 51 overall of the 145 U.S. programs surveyed for the listing announced on April 4. The COB also earned a No. 24 ranking nationally in academic quality and No. 30 as an MBA-feeder school rank. COB’s 98 percent placement rate for 2013 graduates—and five-year average placement rate of 97 percent—support the survey results, said COB Dean Chuck Williams. An extensive four-year career development program where students are guided by their own career mentors. These former executives worked for companies such as Cummins, IBM, Smith Barney, and Eli Lilly and Company. The Freshman Business Experience course, in which first semester students develop a business plan and present it to executives, who select a few for possible start-up funding. The Real Business Experience course in which sophomores develop a business plan, present the plan to a board of local bankers and entrepreneurs to apply for up to $5,000 of start-up capital, and then, if desired, start and run the business. The Student-Managed Investment Fund, in which students invest $1 million in real money from Butler’s endowment. Since its debut on the Best Undergraduate list in 2010, Butler COB has been the only Indianapolis business school on the list. In November, Businessweek ranked Butler’s part-time MBA program as No. 57 in the nation in terms of overall quality, No. 19 in academic quality, and No. 11 among Midwestern programs. The College of Business’ undergraduate program was also ranked a “best” program in the latest U.S. News and World Report list.